This show was part of the H.O.R.D.E. tour that also featured Aquarium Rescue Unit, Blues Traveler, The Spin Doctors and Widespread Panic. Several “official” H.O.R.D.E. dancers took the stage during The Landlady to dance with Trey and Mike. Landlady contained an Oye Como Va tease from Trey. During the tramps segment of YEM, an extra tramp and microphone were brought out for John Popper. On his first jump, though, Popper jumped right through the trampoline. Embarrassed, he left the stage. Spring of ’92 I was a senior in H.S. and me and a bunch of friends got tickets to see the H.O.R.D.E. tour at Garden State Arts Center in July. We had all gone to a good handful of concerts together at this point, but mostly stuff like Van Halen, GnR, or smaller club shows that our friends’ bands opened for. None of us were much into the Dead or anything of the like, they were barely on our radar. We were all pretty heavy drinkers already in our young lives, but weed and other drugs were not in the picture either. One of my best friends got a scholarship to a prestigious and exclusive private school, and had been living that dream near Princeton for a few years. He was by no means a prep school hippie, but he brought some of the music back home with him. This is how I first heard of the Blues Traveler and the Spin Doctors (local central NJ bands at that point playing parties and parks and whatnot). So when we saw the chance to go see an ALL DAY concert (!!!) with these two bands, and 3 more (!!! ), we were like hell yeah, lets do it! So we order the tickets (or maybe went to TM to pick them up…I don’t remember), and it has the 5 bands listed on them. Blues Traveler being the big name by far, because this was still before the Spin Doctors 15 minutes had begun. The other bands were Widespread Panic, Aquarium Rescue Unit, and Phish. Widespread Panic seemed like a normal enough name for a band. Aquarium Rescue Unit was a little out there. But Phish? What the hell? That was just silly. We spent the whole spring putting a ‘P’ sound on the beginning of every word that started with ‘F’. “Who the puh-fcuk is puh-fish?” “Hey, did you just puh-fart?” “How’d you do on puh-finals?” You wanna talk about beat’d to death? We puh-beat’d the ‘puh-‘ sound to death that puh-spring. It was a gorgeous day, and the whole time, it was a different experience than any concert, or any place, I had ever been before. Everyone was smiling and happy. There wasn’t a dark or overly testosterone-y vibe like at the hard rock and metal shows I had seen. There were hardly any guidos at all. What the hell??? Nary a pair of Z-Cavs, not a whiff of Drakkar Noir in the air. Am I still in Jersey? Well, this was the prep school hippie contingency. Not that everyone was all hippie’d out at all, but, just kinda mildly to that side. The jeans were not tight, most of the girls were in these loose ‘peasant’ tops which I don’t think I had ever seen before. And everyone overwhelmingly outgoing, smiling, and friendly. Pretty different than my north Jersey public school experience where everyone seemed to be constantly posing or judging or fronting. The whole scene was glowing in the sun, and it was the first time I ever experienced anything like it. In retrospect, I considered this my first taste of the festival experience and attitude. So the music starts and everything is great. There are some people that are much weirder than others on the spectrum, but even they seem pretty harmless and well-intentioned. I come to find out that a lot of these folks are tripping, of course. I had heard of acid at this point, but really had no idea what it was all about. But my friends and I were more into the vast amounts of liquor we snuck in, and talking to the endless number of very cute, very age-appropriate girls. It seemed like 90% of the crowd was between about 16 and 20 years old. So anyway, onto Phish. They started playing (whether they were first or not) and I thought “Huh, after all this crunchy groovy rock (the term “jam” was not in my musical vocabulary at that point), what is this, a Latin jazz band?” They had opened with Landlady. And all of a sudden there were swarms of people blasting down the lawn to get closer to the pavilion. Not everyone, not by a long shot. But all the people that were dressed really crazy, with the super nappy hair and patchwork overalls. They were all on the same page for this. Looking up, dancing on the lawn like they didn’t have a care in the world. I just kept listening and enjoying and doing whatever else I had been doing all day. Nobody I spoke to was like “Oh, this is Phish, they are great, blah blah blah.” No such experience. Listened to the rest of the set and remember the impression of, “Oh this is more like straight ahead rock” (Runaway Jim, in retrospect), “No, wait they’re playing some sort of eclectic fusion jazz again” (Foam) and back and forth like that for their whole set. “Whatever they are doing, its definitely interesting, and they seem pretty good, they can all play. (Stash) But its weird. Definitely weird. 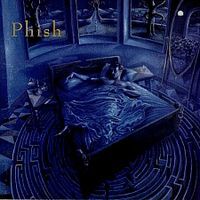 (YEM) Not sure if I like it or not.” There was a full-on stand-alone vacuum solo, which I’d be lying if I said I definitely remember, but coupled with YEM I remember long periods of what seemed like relatively sparse music, and weird sounds, like they were just goofing around. Which, obviously, they were. So that’s really my memory. Like I said, I had no idea who they were, and nothing that day made me seek out their music. I did not realize that one might go on tour with them, or that all their shows were different, or that I could acquire tapes of live performances, or any of the other stuff that we take for granted. Just that they were a really interesting interlude – a quirky highlight, both musical and observing their fans – within a really fun day of music. It was within the next year or less that one of my brothers started to bombard the family with tapes. 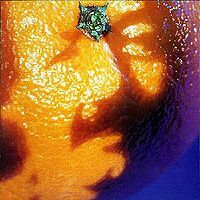 But that day I had no clue of the profound influence the band would have on the next 20 years (and hopefully more) of my life. We were just satisfied to finally know who the puh-phuck this puh-fish actually was. One other funny memory of is that a few of my friends wanted to leave early, before Blues Traveler. Recall they were the main band I wanted to see that day. And as the driver of one of the two vehicles for our group, I was basically like, “No way, are you all nuts?” So a bunch of them took off, and a few of us stayed for what was a really great Blues Traveler set. I’m sure we hit a diner for some cheese fries and gravy and a milk shake on the way home. Probably the Tick Tock or King George. The HORDE tour presented by Canada Dry and Maxell. It was not my first rock show (Rush in 1991)... but it was my first "jamband" show. Of course, nobody used the term "jamband" back then. Of course, Spin Doctors were just starting to blow up at this time, too. They had a single (Two Princes) climbing the charts... but in Jersey, we were already very familiar with those guys. We knew they were buddies with Blues Traveler, but I never really thought they were as good. For the record, I still love John Popper. Guy has tremendous talent as a song writer, singer, harp player, guitarist, and is a great guy ta-boot. Anyway, ARU is playing and slowly, one by one, these other musicians are joining them onstage. Then slowly, one by one, the members of ARU are leaving the stage. Before I know it, we are hearing Widespread Panic. Now, people know I'm not the biggest WSP fan, but I gotta admit, this transition was cool. It really set the stage for the rest of the day. This was no normal rock and roll show. Once WSP finishes their set, there is a brief break in the music. I say brief because it was. This HORDE tour had a huge rotating stage. So, while WSP was playing, the roadies were setting up for Spin Dr.s behind them. So, it took about 10 minutes to rotate the stage and they were ready to go! The Spin Doctors set was cool. I remember it really well. Their front man is a freak and chicks in the crowd were loving it. I remember looking around at the really hippie-looking folks in the crowd and seeing a lot of standing around with hands in pockets just sort of grooving in one spot. Next up was Phish. I had heard some Phish tapes at a few basement parties over the previous few years, but I never really listened too closely. I was definitely unfamiliar and unprepared for this. I will say, the energy in the crowd went up a few notches once Phish hit the stage. Those hippie dudes no longer had their hands in their pockets - they were dancing. Seeing Trey and Mike looking like they were headbanging from the lawn. I mean, you'd have thought they were playing "Master of Puppets" by looking at them, but the music pouring out was Latin jazz. I also remember my attitude towards front-man antics changed a lot that day once I saw a band where all 4 guys were serious musicians. It just made Chris Barron look like an idiot by comparison. It's funny, because I sing and I love to sing... and I had a few opportunities to sing with bands both in high school and my freshman year of college - but by the time I was in college I really felt like an idiot out front singing... I'm definitely not a "musician" so why would I be in a band. I remember Runaway Jim... I remember Stash just because I loved the way it sounded from the very beginning. It was my first favorite Phish song. I remember Cavern and the vacuum solo. I remember the trampolines and the whole John Popper prank. I was pretty geeked out to think that Popper was going to jam with Phish and a little bummed when he didn't, but the prank was hilarious. I remember the vocal jam out of YEM and thinking "this must be for the people on acid... I bet this sounds great on acid." I sort of remember Suzy... then it was over. By the time Blues Traveler hit the stage, the sun had set and the crowd energy had come down quite a bit. I enjoyed their set, which included Warren Haynes (then of the Allman Brothers) sitting in on Mountain Cry. But it was a let-down after Phish. Needless to say, I've seen Blues Traveler a couple dozen times since and enjoyed every show, but never have been blown away. I still love John Popper and always will. Since that day I have seen Phish a total of 120 times including this past Sunday in Saratoga Springs, NY. I celebrated my 20 year Phishiversary on Sunday and the boys made it special for me. I caught my first La Grange. They encored with a monster YEM. I spent the weekend with Wendel and his brother (and a bunch of other great folks). Over half of my 120 shows (66 to be exact) I have seen with Wendel. It's just what we do whenever we can. I wouldn't have it any other way... Can't wait to do it again. 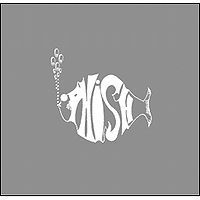 My first Phish show -- after I'd already been well-introduced to them by hearing recordings that friends had provided, I was very happy to finally have the opportunity see them on a bill with my then-favorite jambands, Blues Traveler and Spin Doctors. I was very impressed with the diversity of styles in the song choices that made up this set. While all of the tunes are extremely "standard", it was nice they were able to slip in a vacuum solo (which I was NOT prepared for!) into the middle of Cavern, and a full on You Enjoy Myself despite a festival-imposed time-limit. The notes here are not entirely accurate -- the "Popper jumping through the trampoline" was a totally set-up bit! They had purposely rigged the trampoline to fail so that he would fall through it for a laugh. I was so blown away with these guys that I immediately bought tickets to see them open for Santana just 8 days later at the same venue. Unfortunately in contrast to this one, that was a highly unremarkable 30 minute set. The only truly remarkable thing about that night was Trey's sit-in with Santana's band, which was spectacular. Luckily it did not dissuade me from coming back again and again for (now) more than 20 years! 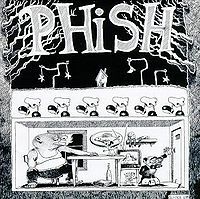 It was either this show or 10/31/92, but for Cavern->Vacuum Solo->Cavern, while Fish came out to play the solo, the band had stopped playing, but in addition, Mike was (I believe) leaning all the way forward while Trey was leaning all the way back, neither 'moving', and Trey was there for so long I remember thinking he must be breaking his back...I don't recall what Page was doing, maybe slumped over his keyboards? After Fish was done, and he returned to his drum kit, those three resumed normal position and finished Cavern without saying a word and acting completely normally. I remember thinking that's a weird little 'show inside the show' thing happenin'. Great sounding soundboard recording of another one set HORDE show. Landlady starts off with a little digi-noise in the bootleg. Good Landlady thought, a little labored at the end. Jim is good as usual even though Trey flubs a little part of the lyrics. No big deal, great jam. Foam is good, maybe just a pinch off here and there. Trey flubs the Sparkle intro again? Ok Sparkle. Stash has a few rough spots in the middle but, has a good jam. You can hear them talking about it on the tape. Coil starts off ok but, Mike falls off in the middle for quite a bit, then Page for a bit. Cavern again for the second time has Fishman coming out to do a vacuum solo before the final note. Mike is not ready for YEM and does not play the intro part. This leads to kind of a sloppy YEM in parts. Even the ending jam is weak as Mike sounds frustrated with his playing. Vocal jam is ok, then you hear Trey say thank you and call out Greenberg! I guess Suzy actually counts as the encore tonight, although they did not leave the stage. Not too bad of a set. It's always nice to hear soundboard quality Phish. A little too many warts to be great. 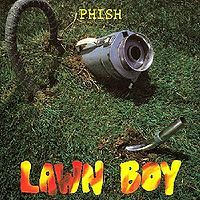 I am looking for a recording of this show, 7.11.92, it was my first Phish show. Any help out there? DollarBill - where did you find that recording?